Proprietor Kevin Harvey and his team, led by winemaker Jeff Brinkman, have received quite a bit of attention of late. They deserve every bit of it, if not more. Harvey has spared no expense in building a state of the art facility, which includes 100 one-ton fermenters that allow for multiple small lot fermentations. In the vineyard, Harvey has taken the type of risks only someone with a background in early stage technology investing could stomach. The result is a series of breathtaking wines, Pinots especially, that are among the finest being made in the United States. I am quite sure Harvey’s goals are much more ambitious than that, though. It will be interesting to see how things play out at Rhys over the coming years, but there is no question these are exciting, compelling wines of the highest level. My experience with the Rhys Pinots is that they develop very slowly in bottle, so readers need to exercise a bit more patience than is typically required with California Pinot Noir. Like most estates in 2010, Rhys grappled with the September heat spikes, which took place during the harvest. The Home and Family Farm were brought in before the spikes, as was 80% of Alpine, Horseshoe and Bearwallow. Rhys had a harder time with Skyline, which came in after the spikes. Ultimately, only 25% of that fruit made it into the fermentation tanks. The entry-level 2010 Pinot Noir (San Mateo County) is simply fabulous. Rich dark cherries, crushed flowers, mint and spices burst from the glass. This is a hugely delicious wine from Rhys. The 80% whole clusters are nicely balanced by the sheer depth of the fruit. This is a flat-out stunning wine from Rhys. In 2010, the San Mateo is the entry-level Pinot. 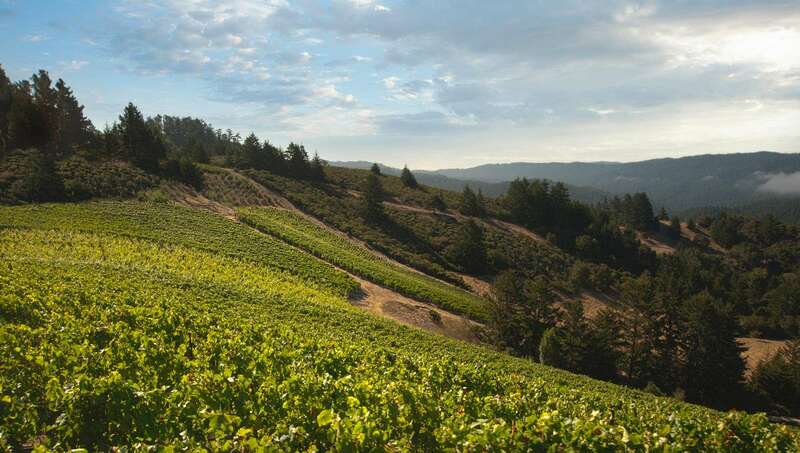 The 2010 is bottled under San Mateo appellation, as it includes declassified fruit from a broader range of vineyards than the typical collection of sites from the Santa Cruz Mountains. Once again, an appellation-level Rhys Pinot shines. The 2010 San Mateo is without question the hidden gem in this lineup. I imagine it will also provide much more enjoyment earlier than the vineyard designates. Anticipated maturity: 2012-2020. A drop-dead gorgeous wine, the 2010 Pinot Noir Family Farm Vineyard boasts stunning richness, depth and power. Juicy dark berries, wild flowers, licorice, tar, smoke and game emerge from the glass. The balance of aromatics, fruit and structure is simply fabulous. 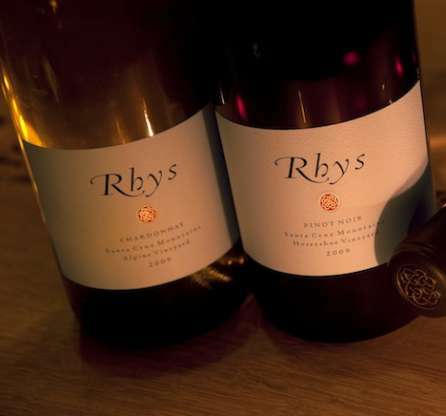 Fans of the Rhys wines will flip over the Family Farm in 2010. Anticipated maturity: 2015-2022. The more powerful side of the Santa Cruz Mountains comes through in the 2010 Pinot Noir Home Vineyard. Massive, incisive tannins frame black fruit, savory herbs and tar, in a sort of California version of Bonnes-Mares, with vertical tannins and great overall balance. I suppose the 2010 Home might lack just a touch of finesse, but it makes up for that with its compelling and deeply expressive personality. This is the first vintage that includes predominantly young vines from a recent replanting. It will be interesting to see how this site responds in future vintages, but I have to think the direction is pretty clear. Anticipated maturity: 2015-2025. In this vintage, the 2010 Pinot Noir Alpine Vineyard is one of the more immediate wines in the lineup. It has plenty of fruit and depth, but not quite the complexity or layered personality of the very best wines in the Rhys lineup. Today it comes across as a bit one-dimensional, with pure power reigning over all else. Anticipated maturity: 2012-2020. The 2010 Pinot Noir Swan Terrace is impeccable. Dark black cherries, plums, exotic spices and orange peel are some of the many notes that take shape in this deeply expressive, layered Pinot. The Swan Terrace is differentiated from some of the other wines in the lineup for its distinctly dark red/black tonalities. Anticipated maturity: 2014-2024. The 2010 Pinot Noir Horseshoe Vineyard is another wine with superb integrity in its fruit and terrific overall balance. Juicy red berries, hard candy, flowers, mint and spices are all woven together nicely. The whole clusters are very nicely balanced. There is wonderful focus and vibrancy throughout, leading to a weightless, totally gracious finish. Anticipated maturity: 2014-2022. From a recently purchased site in the Anderson Valley, the 2010 Pinot Noir Bearwallow Vineyard stands apart from all of the other wines in the Rhys lineup. It possesses precise, brilliant aromatics and finely sculpted fruit. Overall, the Bearwallow is a subtle, refined Pinot built on finesse, with gorgeous underlying minerality and tons of class. Proprietor Kevin Harvey bought this site in 2008, and subsequently planted an additional 25 acres of vineyards to the existing six on this property. Anticipated maturity: 2013-2018. The 2010 Pinot Noir Skyline Vineyard is impeccable, but it is also very, very tight. It clearly needs time to absorb the full impact of the stems, but there is no denying the wine’s overall beauty. Hints of sweet tobacco, red berries, wild flowers, anise and herbs wrap around the finish. It is a fabulous wine of contrasts, at times ethereal and weightless, while at others showing more austerity. There is plenty of potential, though. I very much like the energy here, but patience is the key. I also tasted the 2009, which is much more overtly powerful and seductive, but equally compelling, albeit in a totally different style. Anticipated maturity: 2014-2024. The 2010 Chardonnay Alpine Vineyard is a much deeper, vertical wine that fills out all layers of dimension and flavor. Crushed rocks, white flowers and lemon are some of the notes that flow from this powerful, intense Chardonnay. The Alpine is all about tension and energy. I loved it. Anticipated maturity: 2012-2017.